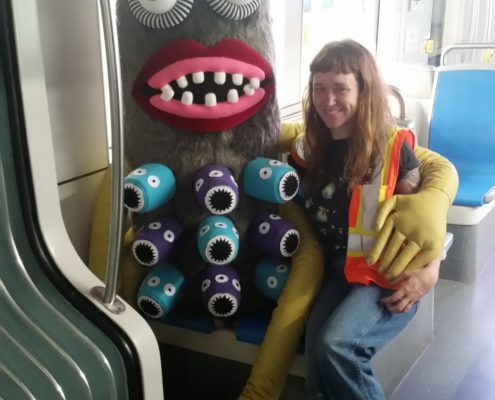 Generally, we avoid speaking to strangers, but how about hugging one? 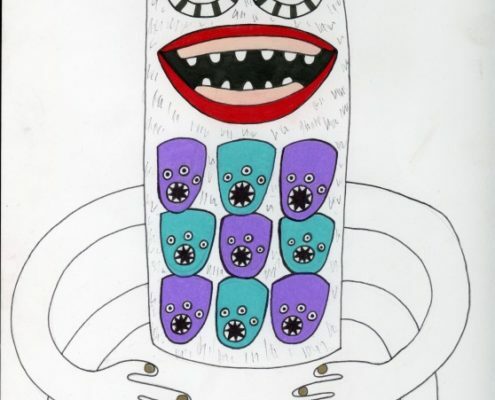 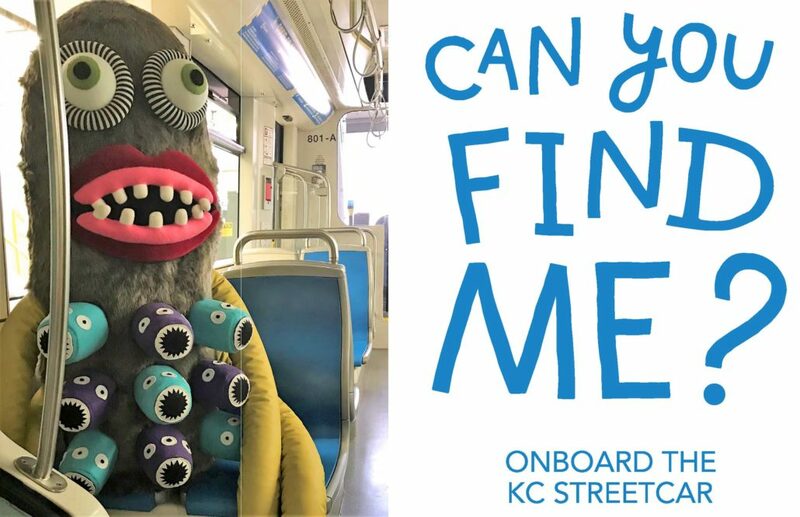 In Megan Karson’s Stranger on a Train, the Stranger is only strange in its appearance: large, concentric eyes; a huge, red, grinning mouth containing gaping, marshmallow-like teeth; and many, many arms. 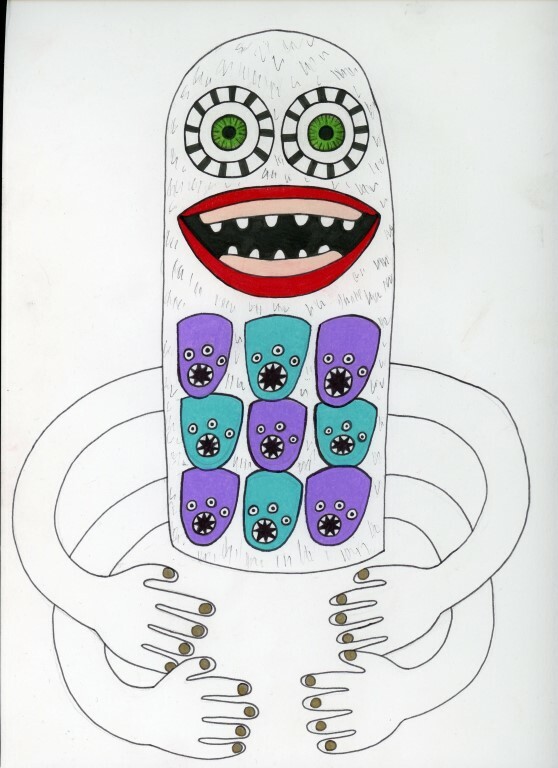 The Stranger though wants to be your friend. 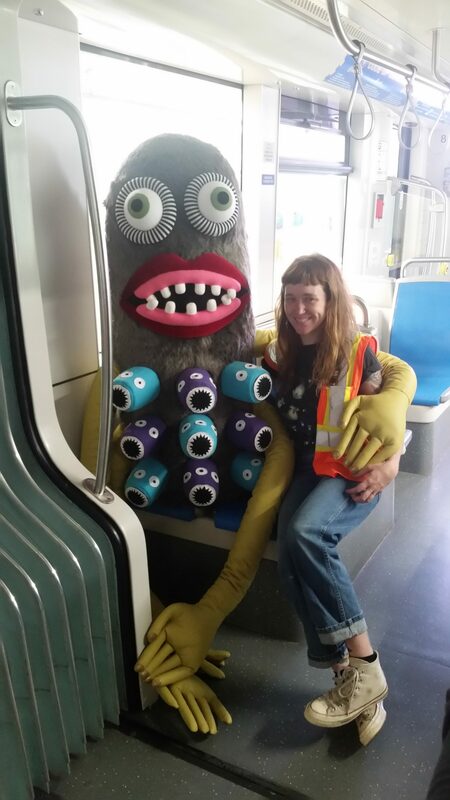 Someone to greet you at the streetcar, someone to accompany you home, someone who will take pictures with you, and will let you sit on their lap. 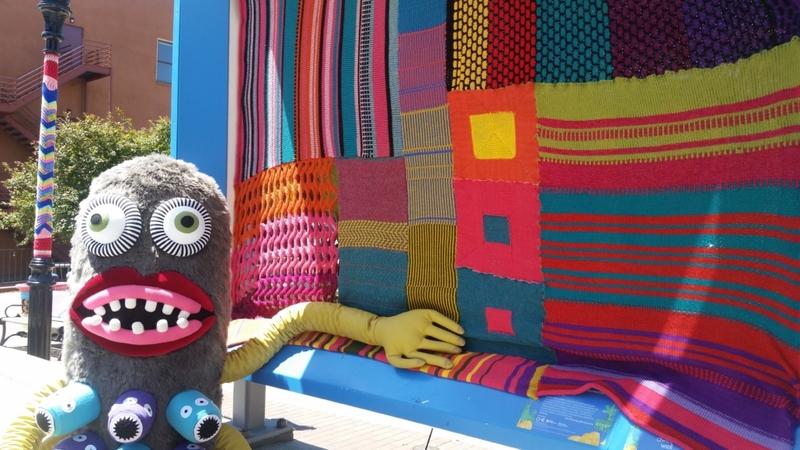 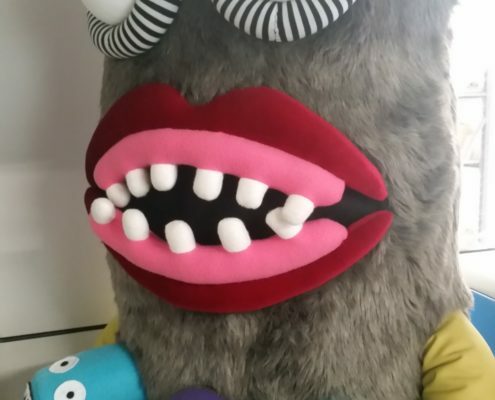 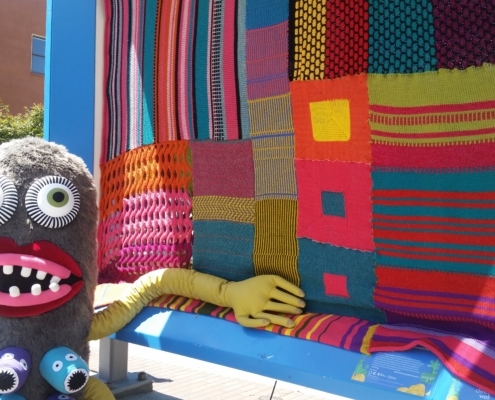 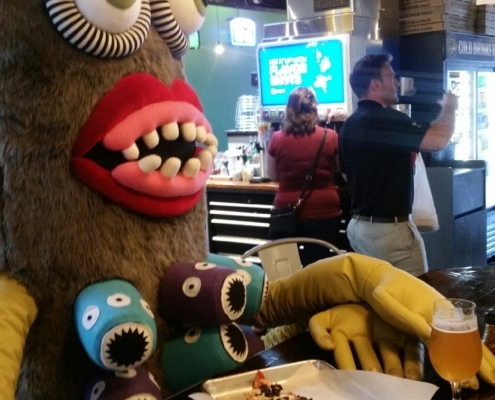 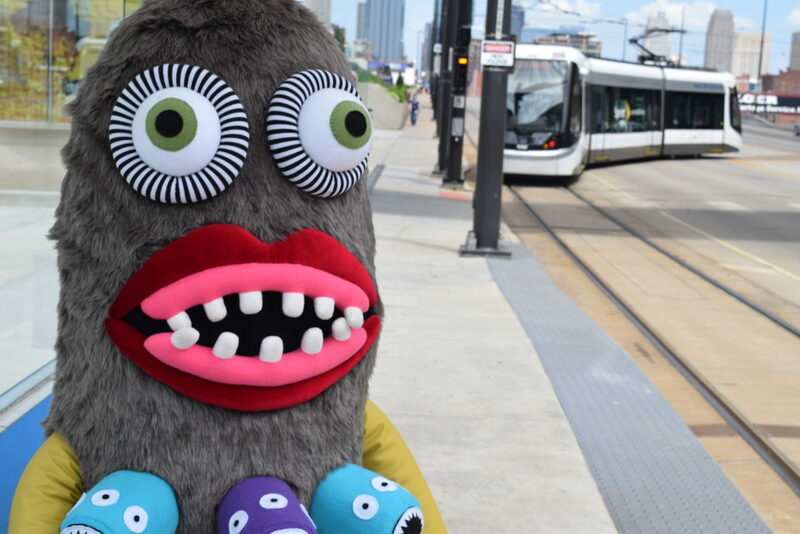 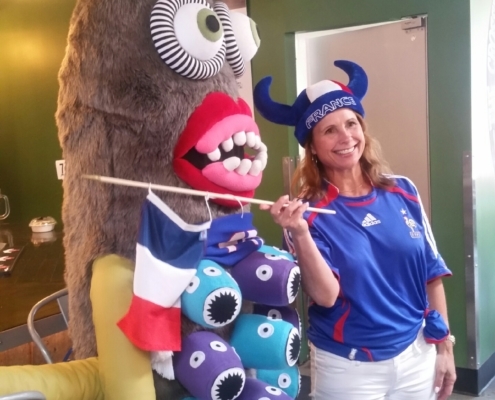 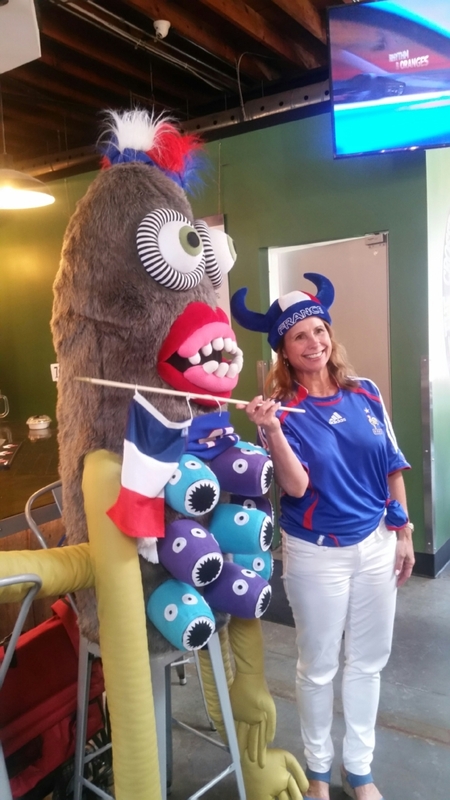 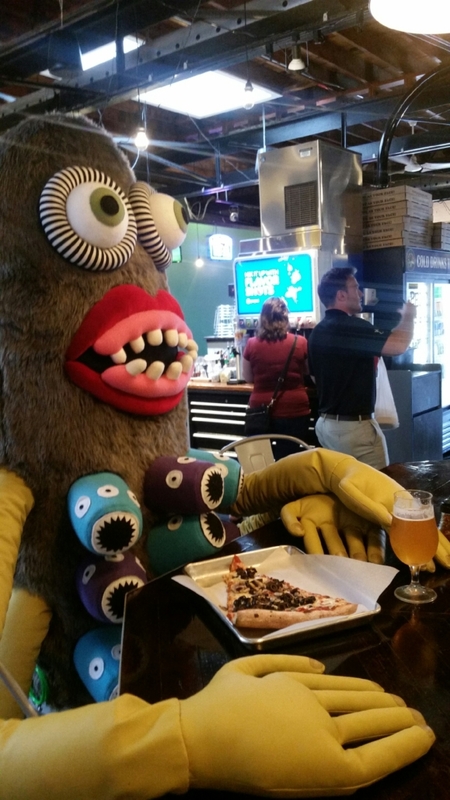 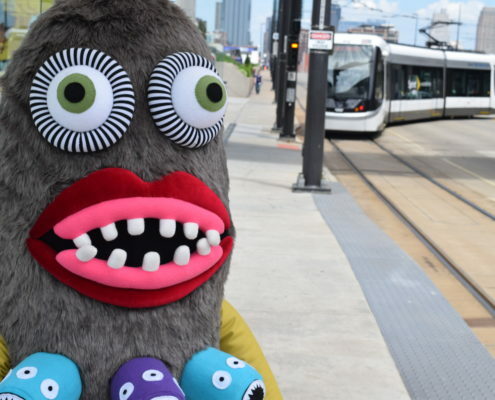 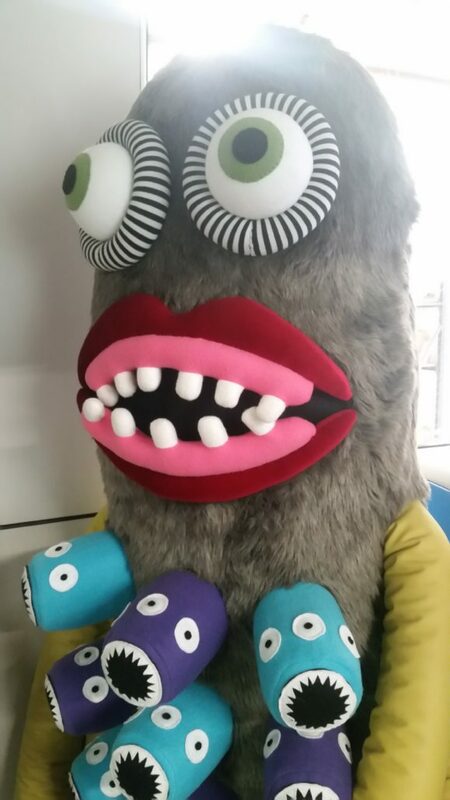 Karson’s monster is a huge soft-sculpture meant to transport streetcar riders to a land of imagination, where instead of fear and uncertainty, monsters evoke a desire for play, joyfulness, and creativity. 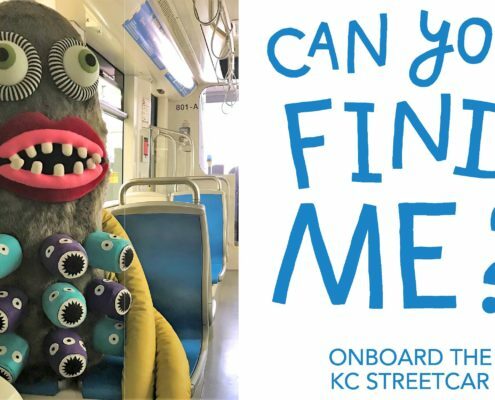 The Stranger occupies a seat on the streetcar, riding along with Kansas Citians, hoping to hear about their day. 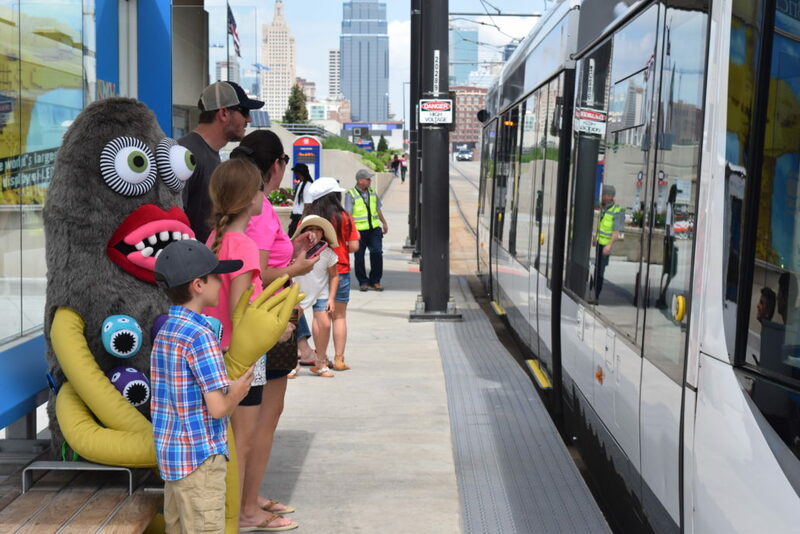 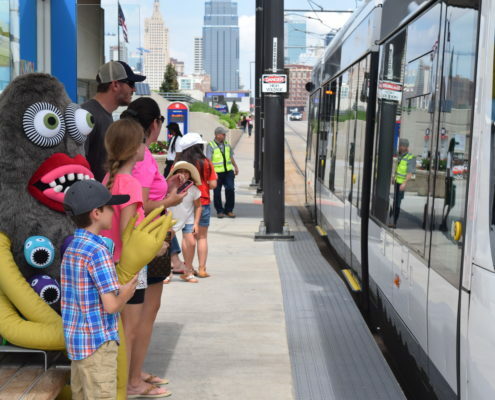 The Stranger will ride KC Streetcar regularly throughout the summer! 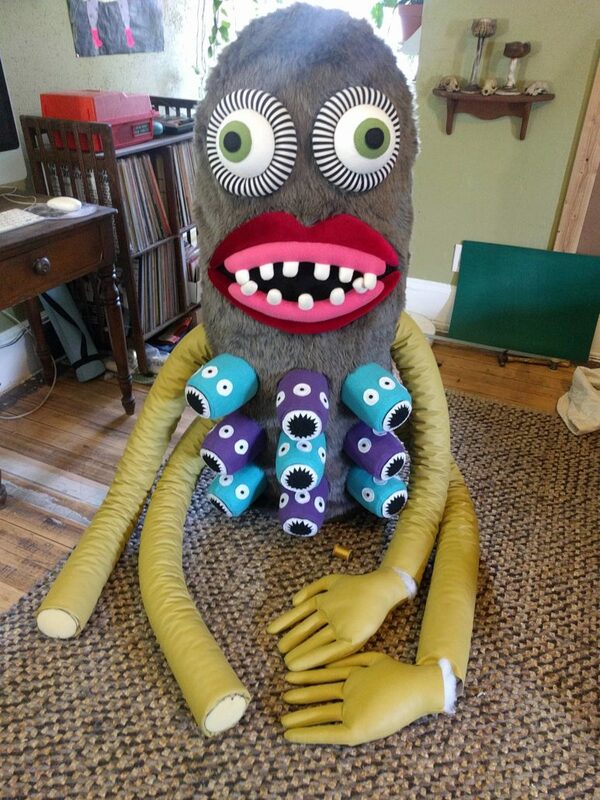 Megan Karson is a multidisciplinary artist who currently lives, works, and plays in Kansas City, Missouri. 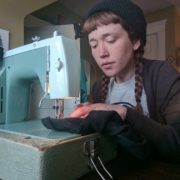 Her range of artistic practice spreads from fiber art to photography to illustration. 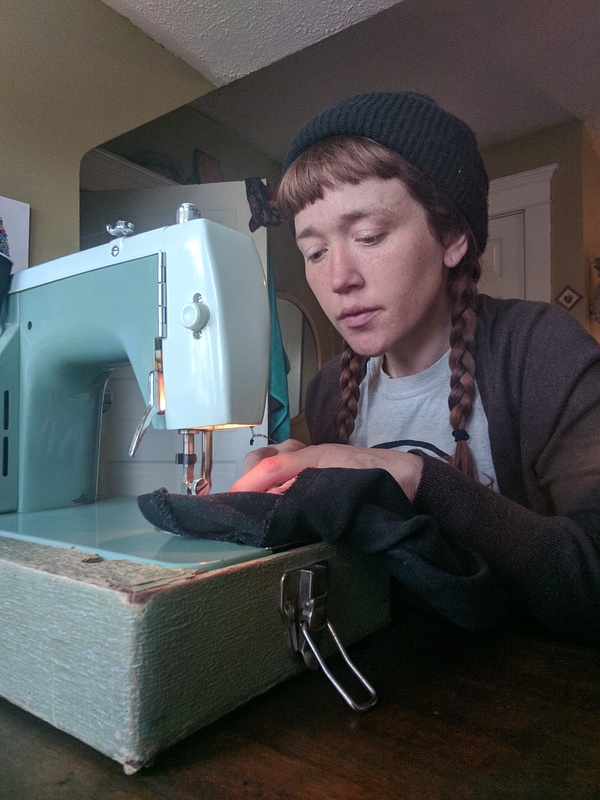 She runs a small toy-making company from her house. 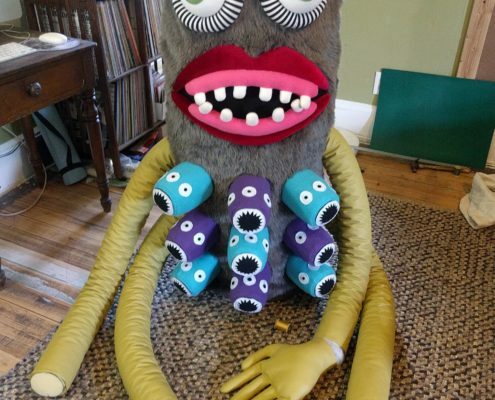 Her work can be seen at the Leedy-Voulkos Art Center, and the Kemper Museum of Contemporary Art in addition to many other locations in the US.